Don't want to see the Electrode or Cell Body draped over the side. 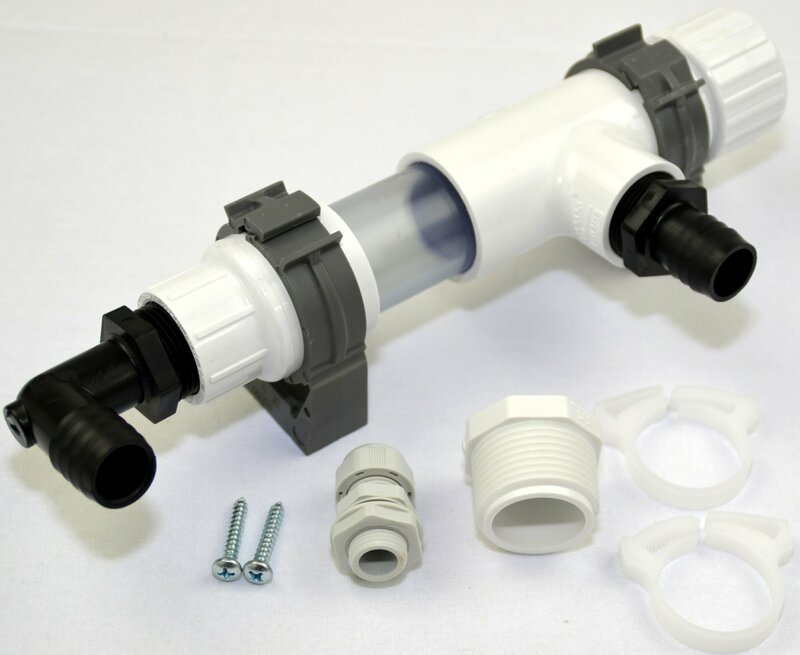 This in-line option hide parts allow you to install the generator inside the skirt of your Hot tub making for a clean completely hiding installation. NOTE: Requires a 24hr circulation pump on the Hot Tub and/or a switch power supply to be installed by a licensed electrician to turn the generator on when the jets are running then off again when jets are turned off.